Featuring Paul Beech, Development Director of KEYS. Keys Ministries exists to equip and empower followers of Jesus Christ throughout Eurasia and beyond, through missionary partnerships which emphasize the training and discipleship of nationals. Their focus is furthering the kingdom of God by providing theological education to nationals from persecuted countries. They help support a Seminary in Eurasia as well as several satellite schools dispersed throughout Eurasia. These schools give the opportunity for nationals who have come to Christ to continue serving Him with the Biblical knowledge and theological education necessary to better spread the Good News. Donate Your Time, Energy, or Monetary Gifts – Visit keyscolleges.com for all the details. Prayer – Prayer is one of the most important things we can offer to the believers in Eurasia and all of those connected to Keys Colleges. Please join us in praying for them. Professors – Many professors from all over the world go to the main campus to teach classes such as New Testament, Old Testament, Islamic Culture, Social Work, and Counseling. Sending American professors to teach at the main campus allows local professors to travel to the satellite campuses where it would be harder for an American to go. Scholarships – The main focus of Keys is to raise money to provide scholarships to students coming from persecuted countries for their theological education. The students have the opportunity to complete the equivalent of a bachelors degree at the seminary with three different concentrations; Theology, Missions, and Social Work. 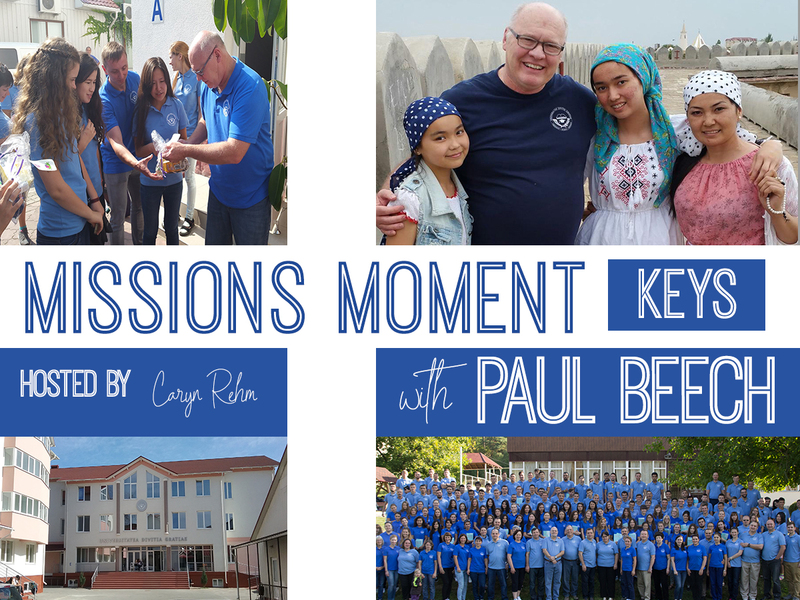 Missions Teams – Keys has sent numerous mission teams to the Seminary location. They’ve done things like teaching English, working in local villages, interviewing students, teaching music, and more. Seminary Support – Keys is honored to help support the seminary as a whole. With a position on the board of directors, Keys has provided direction and assistance administratively.There have also been opportunities to bring supplies such as English books, office supplies, a guitar for worship in chapel, and other ministry resources. Satellite Schools – There are four satellite schools located throughout Eurasia. All of them are within countries with high religious persecution. Keys is able to support them with building projects, materials, as well as some financial support.